Based throughout the UK, Europe and globally, VideoCentric’s select group of video conferencing, network infrastructure and AV installation experts provide a truly nationwide and multinational reach of professional installation and configuration services. “The situation on site when the installers arrived presented an almost impossible task, but they were clearly very knowledgeable and a fantastic job was done in what were extremely challenging circumstances. We provide highly experienced, accredited installation engineers and technicians to enable professional installations at your offices, datacentres and facilities, and will ensure configuration and orientation of your video conferencing equipment to the highest standard. We can manage single one off installations, or work with you to design & implement the perfect installation for your space, with all equipment, components & furniture carefully selected & tailored to your needs and specification. Testing of the recently installed equipment is key, and our engineers carry this out thoroughly to ensure full functionality of your systems & equipment after installation. Our installation’s also includes a customer overview of how to use and configure the system during the same visit, so you can be assured that the system is both up & running correctly, and your team know how to start making the most of your investment! Cisco MX or SX series endpoint installation? Polycom RealPresence Group or HDX series installation? Lifesize Icon or 220 series installation? Pexip multipoint node deployment? Virtualised Video Network configuration? Cisco VCS, BE6k, TMS, CUCM or other Cisco Video Networking infrastructure installation? Pre-installation surveys, UK, Europe or worldwide? 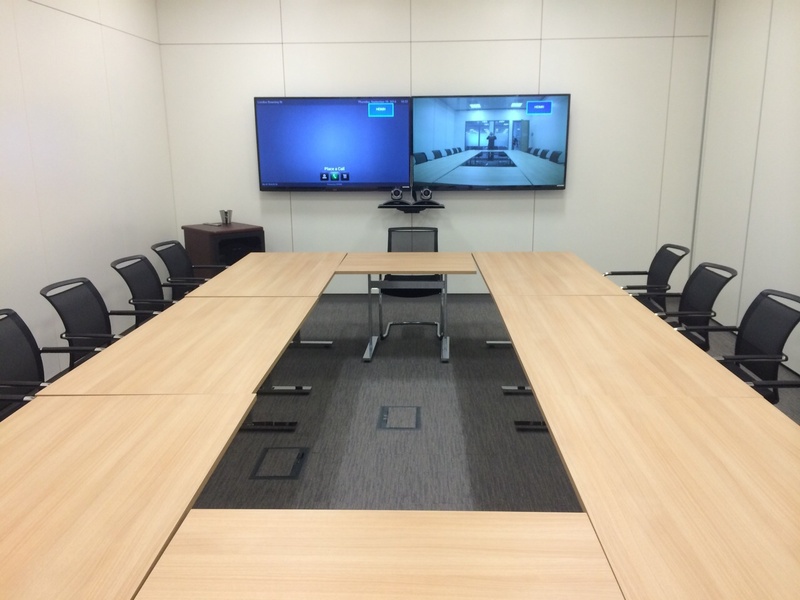 Global Video Conferencing and Collaboration installations? SMARTBoard and SMART LCD including SMART Kapp and SMART Kapp IQ installation? AV design, wireless collaboration tool installation or integrated room audio installation? For high end boardrooms and meeting spaces, we are trusted by organisations worldwide to provide the highest quality, professional installation and finish in the most prestigious office spaces, leaving your rooms with the “wow” factor, without exceeding your budgets. We carry out bespoke AV designs & installations, with many unusual, intricate and one-off installations in our portfolio alongside general day-to-day fit outs in meeting rooms, open plan offices, huddle rooms, executive & home offices, MDT rooms, training spaces, lecture theatres and classrooms. Speak to us today to find out more about how we can provide you with expert installations, design & fit-outs, meet our installation team and discuss with our experts about what we can do to help you turn your space into a hub of visual collaboration.